Actionable perspectives, strategies, and approaches to win big with enterprise cloud in the flourishing digital business. Cloud thought leader Joe McKendrick was right when three years ago, in his cloud computing's second act is all business, posted on Forbes, he predicted "IT is one small piece of the cloud story. A much bigger story is coming from the business itself. The curtain is now opening on cloud computing's second act, which is all business. But this is also the hard part." Increasingly, the business value of the recent IT innovations is being challenged. Business line (BL) leaders doubt the promised business benefits of either cloud computing or DevOps. Leaders of some top Fortune 500 companies, despite massive investments in these technologies, are being fired for deficient business transformations. A Forrester Research survey cited by McKendrick substantiates my point, "For 50% of the respondents, it's a struggle to link DevOps activities to business outcomes. Business value is defined as revenue, competitiveness, profitability, and new customers." Wall Street Journal's Christopher Mims in a bombshell, Wall Street to CEOs: disrupt your industry, or else, tells how investors and boards of companies like Ford Motor are showing the door to superstar CEOs. A survey we conducted at ITaaSNow, the cloud's undone business revolution: the embarrassing report, published on CIO.com confirms BL concerns about the business value of DevOps, and more importantly cloud computing. Let's not beat around the bush, the problem is the IT tools business, an outgrowth, a tumor, the cancer of today's IT industry. It's been selling business and IT leaders, through fake educational contents and free webinars, the myth that revenue, customer value, competitiveness, short time-to-value result automatically from implementing cloud solutions or automation tools. The ambition in this article is to show you how disconnected is the vision of many IT solution vendors, and provide a couple of keys that'll help develop an Enterprise Cloud (EC) vision, approach, and action plan to boost your digital business. Many IT leaders deny it, IT is still disconnected from business concerns. The misalignment with the business is a cruel reality, it's a problem. IT continues to think that cutting IT costs and speeding up IT operations is what'll make the business competitive. That's what one can hear and read in the thousands of fake educational webinars and articles that pop up everyday. Most of them are carefully thought to pitch businesses and their solutions; their purpose is to sell. Here is the reality hidden to you, it's your responsibility to grasp it. Proliferating tech startups and technology companies and their innovative services are dominating and expanding digital business.Their business models are the barometers of today's competition. Through the innovation pace they impose, they disrupt industries and force competitors to reinvent themselves. Make no mistake about it, revenue achieved through innovation and responsiveness is what matters and doing better than Apple, Google, Amazon, Facebook, PayPal, Alibaba, and Airbnb is a must to survive the digital revolution. 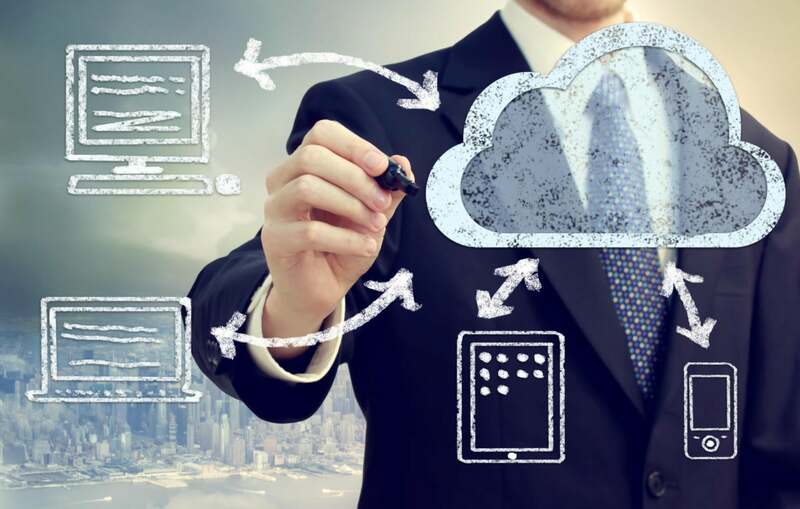 Do you honestly think that to align your business to the competitive standards imposed by these companies, the only thing to do is to implement cloud computing or IT automation tools? The answer is no. Period. What's needed is a complete transformation of your company's business model, failure to understand it will definitely cost you your job. Before moving forward with EC, let's deconstruct the toxic logic that's been placing solution vendor interests above businesses digital survival. These fake contents are based on rosy predictions with ulterior motives that tell how Big Data, Artificial Intelligence (AI), and automation tools are superseding the human activity in this world's affair, making on one side the humanity happier, and on the other, the boldest entrepreneurs wealthier. Where things get dangerous is when these contents through erroneous definition, hypes, and buzzwords undermine business management's foundation, mislead business leaders, and take them straight into the wall. The Ford Motor's case is illustrative. 1. Digital transformation vs technology change. Solution vendors narrow digital transformation to a matter of technology change. They're wrong. As we've seen, to prosper in the digital economy, companies need to align their business model to Amazon, Google, or Alibaba. Consider digital transformation as a transformation of your company's business model. 2. Time-to-value vs short IT services delivery lead time. Solution vendors present IT delivery lead time as a business value metric. The faster IT, the greater business value is the belief. It's false, IT speed on its own isn't a determinant of value, what determines value is your company's ability to deliver innovations to the right markets in a timely manner. Time-to-value is what matters to the business. 3. Customer value vs IT cost savings. Solution vendors present IT cost saving as a financial business benefit, it's wrong. Customer value is the financial benefit that matters to the business, it measures the money spent by customers to buy products and services. 4. Innovation vs technology sophistication. In the IT world, innovation is confused with technology sophistication. From the business perspective sophistication is useless as long as it doesn't bring value to both the company and clients. Innovation is in reality, an inventive business asset that brings value to both company and customers. 5. Business agility vs IT agility. Solution vendors confuse business agility with IT agility. The more agile IT the greater business agility is the belief. That's false, business agility is a cross-functional matter involving both the business and IT. It reflects how smart, fast, and effective interactions occur across the organization to deliver innovations to the right markets in a timely manner. These five pillars are the key success factors of any digital transformation project. You might be asking, "but where the hell is the connection with EC?" The answer is, EC migration isn't only a technical matter but also, and more importantly, a way to leverage the cloud technology to concretely boost the business. It's what McKendrick calls the cloud's business act. As you can see, EC transformation isn't, the blind application and infrastructure migrations to AWS, Azure, or Google cloud. It doesn't make sense from the business standpoint. EC is about transforming your company's business model, I mean aligning your operational interactions, staff and skills, processes and values, and technology to the digital competitive forces in a way that boost innovation and revenue. EC migration is definitely not a solution architect affair where your techies can have fun with AWS EC2, Microservices, Containers, and Blockchain to migrate applications and infrastructure to the cloud, cut IT costs and speed up IT operations. As I've been making ITaaSNow clients happy with it, EC migration is about optimizing your company's value stream with SaaS, PaaS, and IaaS services. What is value stream? What's value stream optimization? How do you do that? Most IT leaders ignore it, the value stream is the most important, the most strategic piece of the company. It represents, the specific set of interactions, staff and skills, processes and practices, tools and infrastructure, and values mobilized across your company to timely deliver innovations to the right markets. The value stream isn't my invention, Harvard business professor, Michael Porter, the man who revolutionized competitive strategy and strategic management created it as the Value Chain in the early 80's, he's been teaching it to superstar CEOs around the world. Migrating to EC is about leveraging cloud's features to enable your company's value stream. It's a complex and risky process not only because it cuts across the company from marketing, sales, and post sales to application development and IT service management but also because it covers areas as varied as organization design, process re-engineering, relationships optimization, cloud architecture, and application migrations. 1. Strategize. Strategy clarifies your target digital market's demands, market's challenges, the value proposition your company offers along with the key processes, technology, and organizational capabilities needed to fulfill demands. Mobilize your business and IT executive teams through brainstorming sessions to define your digital strategy. And the technological platform refers to as the cloud platform. 3. Implement. Make sure an enterprise architect assumes leadership supported by a solution architect and a lean and agile expert. As to the value stream, the agile expert supported by business and IT contributors agree on and prepare processes and procedures for the deployment and adoption of the value stream. As to the cloud platform, the solution architect supported by business and IT reps, select, configure, and deploy technology packages that will enable the identified SaaS, PaaS, and IaaS services. 4. Experiment. Driven by the enterprise architecture under your executive control, experiment is focused on experimenting the EC asset including the value stream and the cloud platform. For about one to three months, a panel of business and IT staff are trained to experiment the EC capability under actual business conditions. 5. Deploy. Driven by the enterprise architecture under your executive control, deployment is focused on deploying the value stream and the cloud platform. Depending on your company's size, either on a business line basis or regional basis, business and IT staff are trained to the EC capability and coached on using processes, procedures, and SaaS, PaaS, and IaaS services. Why would you waste your time and put your job at risk with outdated cloud visions, strategies, and approaches that don't help your company's interests? Why hang on the deprecated IT tools provider role your favorite cloud service provider will be playing soon when business lines will fire you? Why not stop playing hide and seek with the changes and embrace the new strategic IT as a Service broker role that'll own the company's value stream and optimize the relationships with cloud vendors to make the business an innovation champion? Embrace the change is my recommendation. Philippe A. Abdoulaye is a highly experienced CIO advisory consultant with a background helping businesses meet their critical needs and priorities through IT. His vision about cloud computing, ITaaS, and digital transformation is followed by thousands of industry analysts, experts and IT leaders on Linkedin.